m a y f i l e s . . .: It&apos;s gonna be hot! Well all goals thrown out the window. It looks to be 78 degrees at start and almost 90 by finish. No PR's for this race. They are asking people to defer and not run. It's a whole new beast now. However nothing can take away from the excitement. I'm running Boston for goodness sakes! 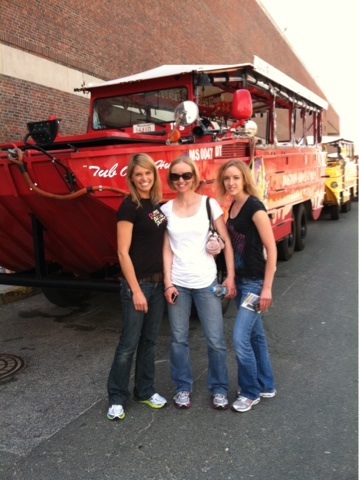 The girls and I doing the "Duck Tours"